Aspen Ridge Goat Milk Tablet in plain flavour is suitable for Men, Women, Children's and mature health needs. 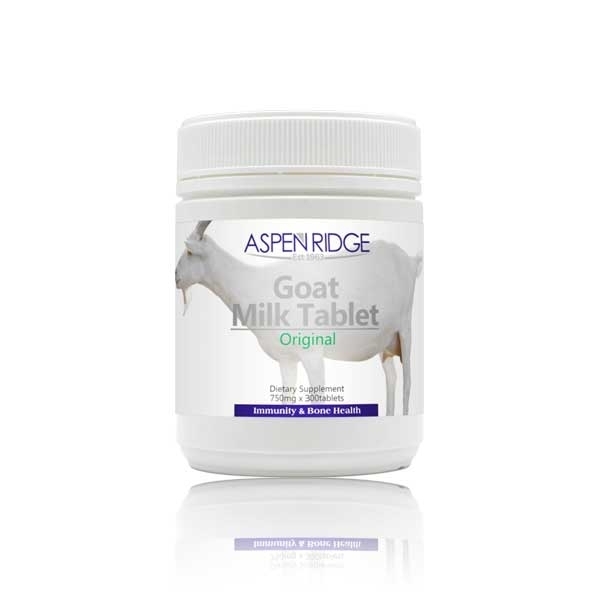 Goat Milk offers a wide range of health benefits over consuming regular cow's milk, as it is naturally hypoallergenic, making it an excellent substitute for those allergic to dairy or lactose. It is naturally high in calcium and contains essential proteins, as well as the amino acid: Tryptophan, for healthy bone growth and development. 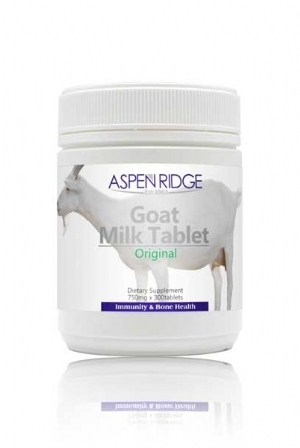 Goats Milk also contains the trace element Selenium, a key essential mineral in keeping the immune system strong and functioning normally. Adults take: 2 - 10 tablets daily. Children take: 1 - 2 tablets daily. Safe to take during pregnancy and breastfeeding.